Combine mixed fruit, dates, seeds mix, hazelnuts, coconut, coconut oil and vanilla in the bowl of a food processor. Blend well until a thick paste is formed. Roll tablespoonfuls of mixture into balls and refrigerate. Place chocolate into a heatproof bowl and place over a saucepan of gently simmering water. Mix until melted and smooth. Remove from heat. Combine coconut and food colouring, tossing until well distributed. Using a fork, pierce balls and dip into melted chocolate. Sprinkle with coloured coconut and set aside on a tray. 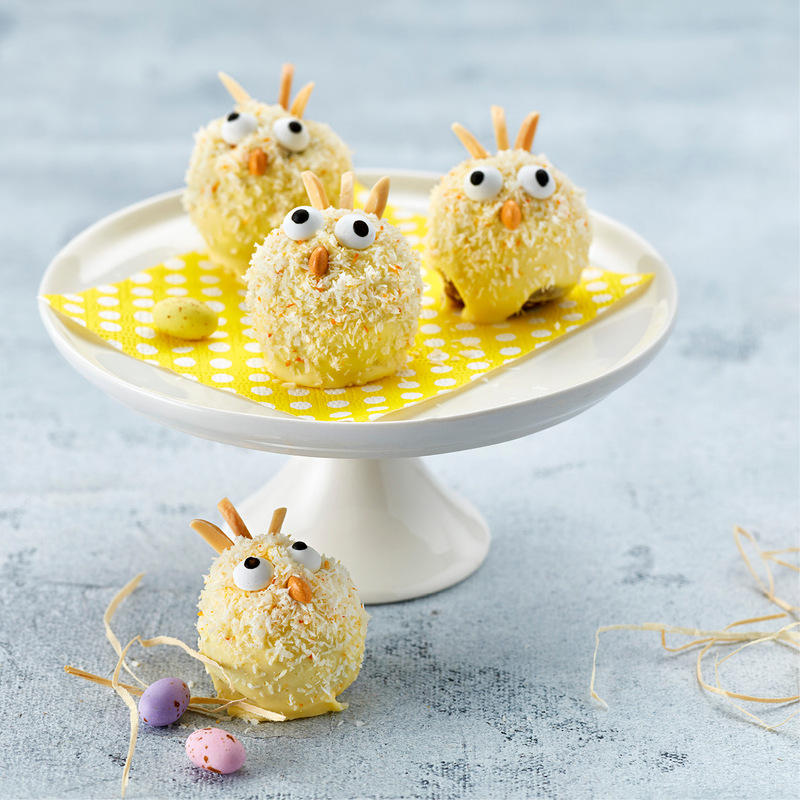 Decorate with almonds, eyes and beaks. Refrigerate until required.